In the heart of the Lake District National Park in the pretty, unspoiled village of Sawrey , surrounded by National Trust land and buildings. Hill Top, Beatrix Potter’s home, is a minute’s walk away, next to an excellent pub the Tower Bank Arms with a very special atmosphere- low beams, warm log fire and really good, well-kept ales. For walkers, the fells and high peaks are within east reach and there is excellent walking from the door. 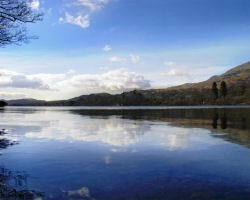 Tarn Hows and Lake Coniston are a ten-minute drive away . 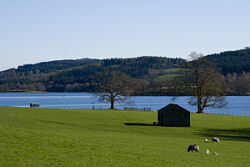 There is an abundance of visitor attractions nearby – Brantwood, the home of John Ruskin, Blackwell, the recently restored Arts and Crafts house, Dove Cottage, local trout fishing, Windermere , Hawkshead and Ambleside and then there are all the museums and children’s attractions , boats on Windermere, theatres, exhibitions – the list is almost endless. Eating out locally is good, you have a real selection of places that range from hearty pub food to excellent cuisine. It’s a great place to relax and be spoiled.